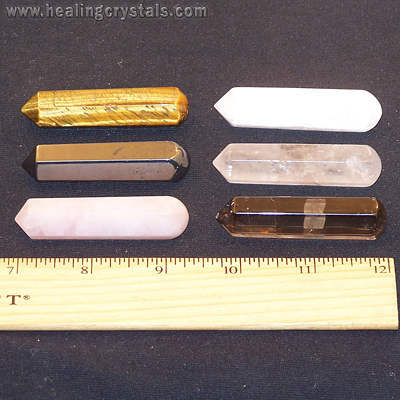 This is a beautiful assortment consisting of 6 different crystal wands. This set contains: Tiger Eye, Clear Quartz, Smokey Quartz, Rose Quartz, Selenite and Hematite. For a limited time this assortment will be on sale!!! !